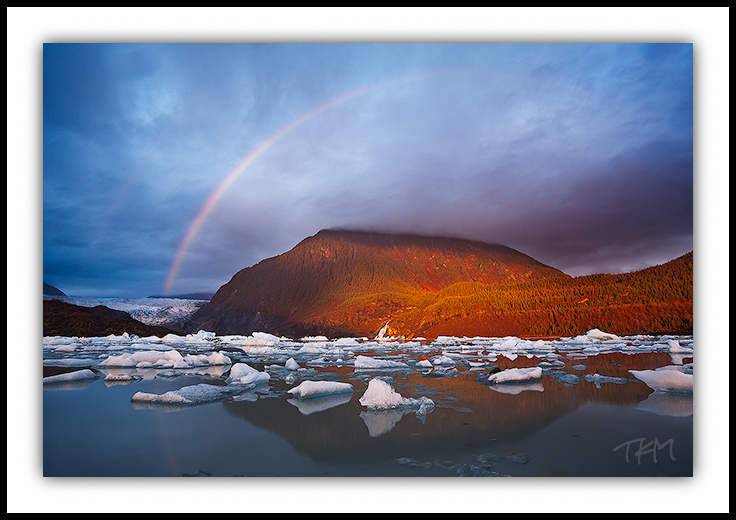 Please feel free to contact me with inquiries about fine art prints or image licensing. Any other questions related to the business of TKM Photography or the contents of this blog are also welcome. I’m very appreciative of you interest in my photography. Thank you, and have a wonderful day. I’m visiting Juneau on Thursday for 4 days and would like to hire a photographer to take pictures in the ice caves. Is this something you would be open to? Hart – It’s something I would be open to if it weren’t for two things. I am not permitted to run tours in the Mendenhall Glacier Recreation Area, and I am not available during your trip. Maybe I’m misunderstanding your intention, but I think you mean that you would like to take photos in the ice cave. If that’s true, may I suggest that you contact Above and Beyond AK (ABAK) about a private guided trip to the cave. It will not be led by a photographer, but they are an exceptional guiding service, and I do know many of the guides personally. I hope you have a great trip! Hey Kent, I have a similar inquiry. Would you be available to take our wedding pictures on may 27th 2015?